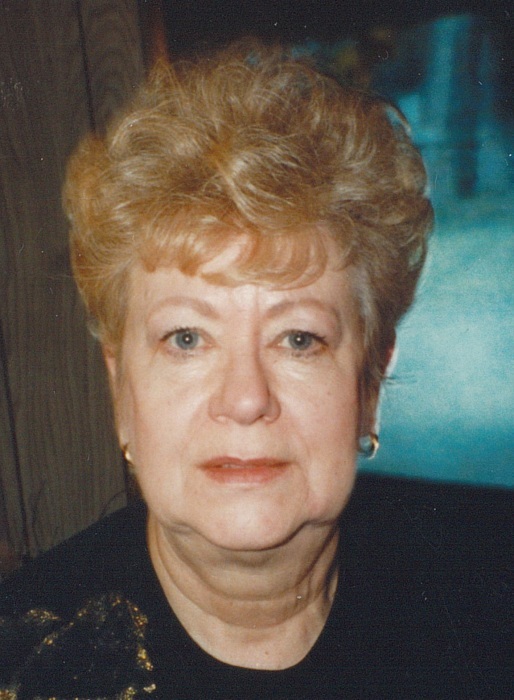 Peggy H. Polois, 81, of McDonald, passed away on Saturday, November 24, 2018, at her home, with her family by her side. Peggy was born February 21, 1937, the daughter of Johnny and Evelyn (Palmer) Hardwick, as they were fleeing Dyersburg, Tennessee, on a barge due to the severe flood of the Mississippi River. She retired from Packard Electric after 35 years, and loved her job there, and worked many long hours to provide everything she could for her family. Peggy was great at everything she did, but most of all she was a great mother. No matter what was happening in, or around her life, she would come running to be there for her children, even through states and storms. Being raised an only child, Peggy's dream was to have a big family to call her own, and surely made that happen. She leaves to cherish her memory her son, Keith Polois of Brookfield, her daughters; Kimberly (Dana) Goodwin, of Girard, Cynthia Joyce of Ridgley, Tennessee, and Laura Rice of Girard, her grandchildren; Adriane (Chris) Carusso, of McDonald, Nicholas (Nomiki) Rice of Girard, Jeremy Polois, of Brookfield, Tyler Eldridge of Houston, Texas, Keith Polois Jr., of McDonald, Brandon Goodwin, of Girard, Raven Williams Goodwin, of Girard, Grace Goodwin, of McDonald, Maranda Joyce, of Ridgley, Tennessee, and Bill Joyce, of Ridgley, Tennesse, her sister in law, Dorothy Yoder Polois, of McDonald, and one nephew, Louis (Fiancee Adrianna) Polois. In Peggy's lifetime she was also blessed to welcome and love 10 great grandchildren. Besides her parents Peggy is preceded in death by her husband of 47 years, George R. Polois Jr., a son in law, Rocco Rice, a brother in law, Louis M. Polois, her twin sibling, and her grandfather, Mr. Abram Palmer, and grandmother, Mrs. Laura Palmer, whom Peggy was raised by and shown the love and kindness that she carried and bestowed on her family. She is complete and her journey has come to its end here, and she will be waiting for the rest of her family in glory. Per Peggy's wishes there will be no services. The family would like to thank Dorothy Yoder and her family for the love and kindness they showed Peggy while being her caregiver throughout her final time here. Visit www.blackstonefuneralhome.com to view this obituary and to send any condolences to the family.